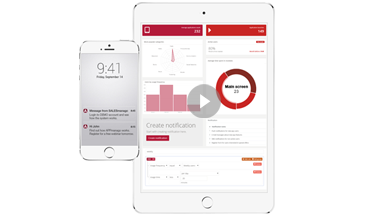 Push Notifications are short messages displayed on the main screen of a smartphone or a tablet. They may appear as a text, a URL link driving to a Landing Page or a Dialog Box. Their aim is to lead your user back to the app with a message dedicated to the individual user. Such solution is mostly effective among users with a lower engagement level. $name$, there is a new $app_name$ version available now, check out new features! E-Mail messages allow to keep frequent and stable communication with your app user. They consist of more content, graphics and call-to-action commands. They complement mobile messages, when we are currently not in touch with our customer among the app or mobile device. Thanks to them an engaged user gets more complex information about the application itself and more detailed offers that are not intrusive. Modern e-mail Drag&Drop creator allows for immediate creation of professional e-mailings without specialistic knowledge. 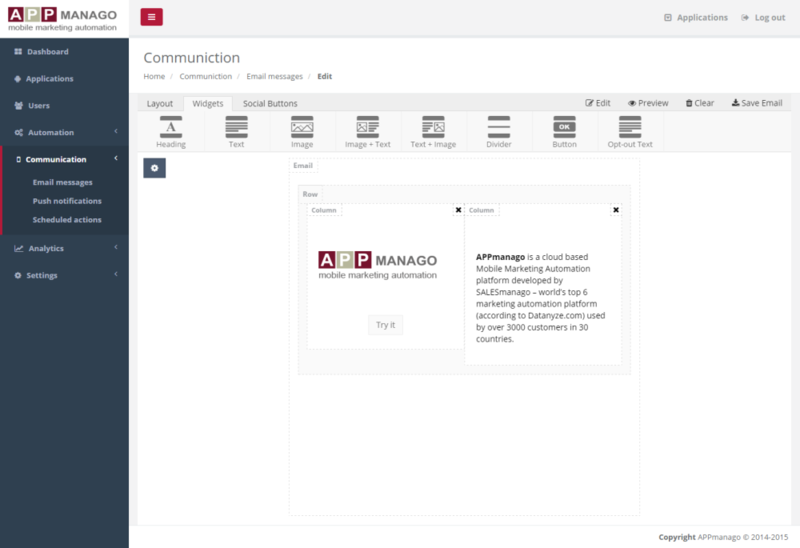 Totally responsive e-mail messages is a standard in APPmanago Mobile Marketing Automation system. Because we value our loyal users, we decided to give you a special offer..